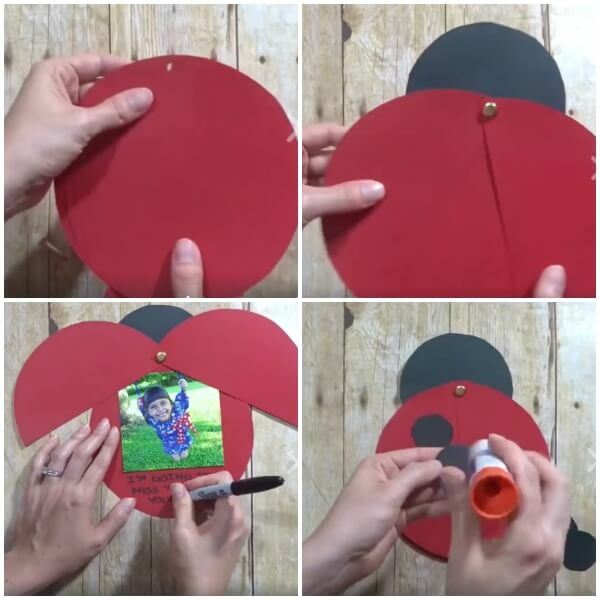 Show your appreciation for your hard-working educators with this adorable kid-made Ladybug Teacher Thank You Card. 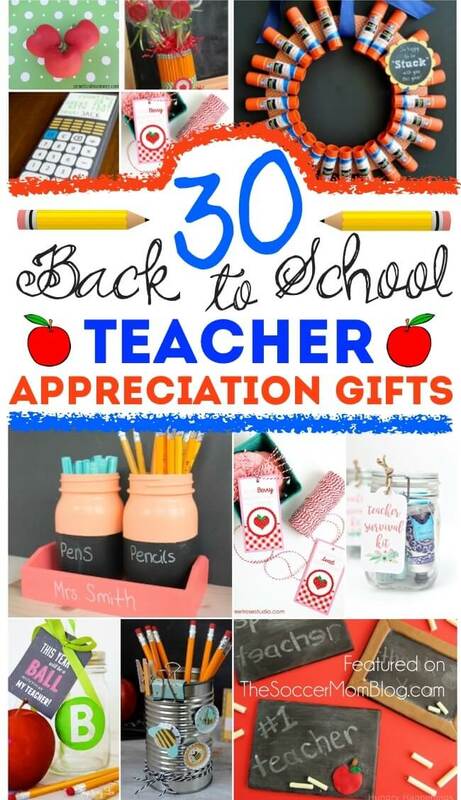 School is almost out for summer, so we want to show our teachers just how much we appreciate all they did for the kids this year. 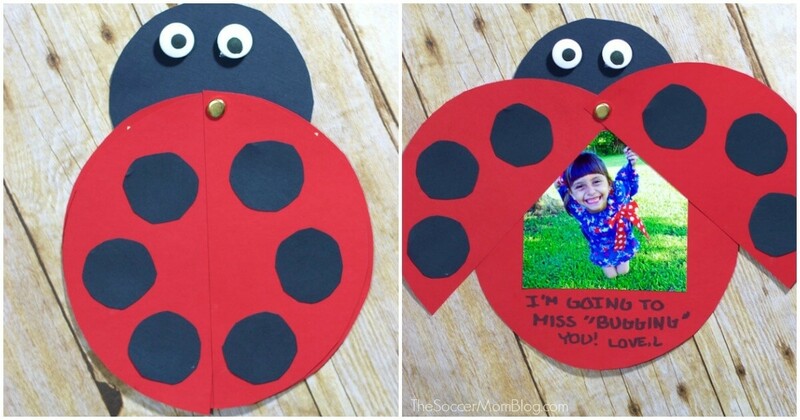 This ladybug teacher thank you card is a super cute project kids can make (or help make) themselves, with a surprise photo inside. These ladybug photo cards would also be perfect for Teacher Appreciation Week! PS- Be sure to check out our Apple “About Me” pop-up card for Meet the Teacher Day too! Affiliate links provided for your convenience in re-creating this craft; read our disclosure policy here. Watch this quick demo video to see how it’s made, then keep reading for photo step-by-step instructions. First, grab your free printable ladybug pattern and cut out the pieces. 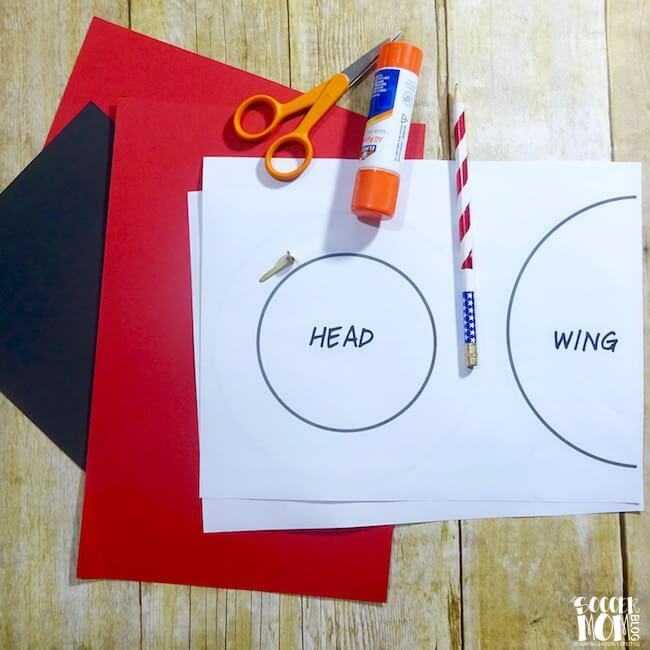 Trace the body and wings onto red card stock or construction paper. Trace the head onto black card stock. Cut out the pieces. Punch a hole in the top of the “body” piece, as well as a hole in the top corner of each wing. Align the three holes and secure with a brass fastener. Glue the head to the back of the body. Open the wings to reveal the inside of the card. Paste child’s photo here, leaving space to write your message. Decorate the body with black spots (you can use a black marker or cut spots out of the remainder of your piece of black card stock). 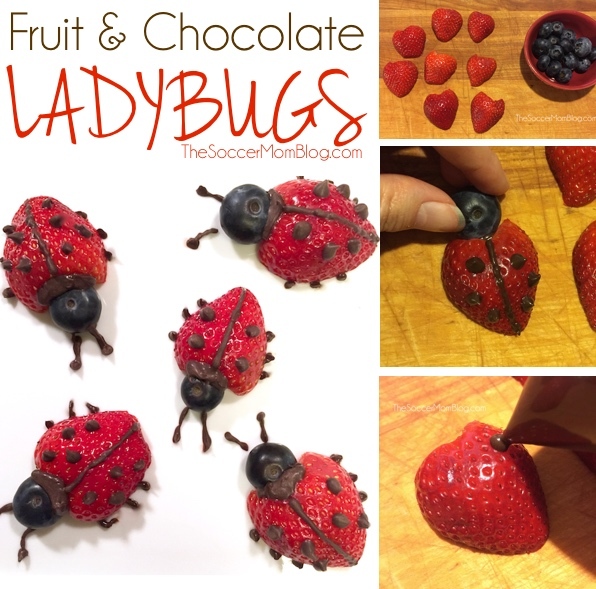 Feel free to add personality to your ladybug with google eyes, pipe cleaner legs, and more!